What a great recipe! 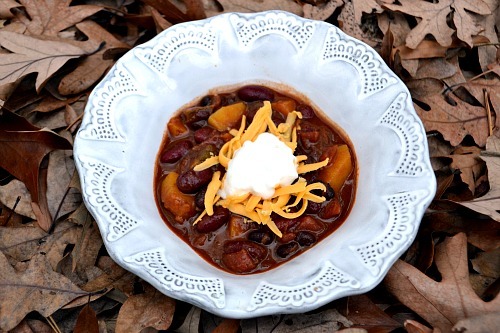 I’ve never thought of using butternut squash IN chili, but you’ve made it sound awesome. Love that it’s so chunky, too. Do you think this recipe would work in a slow-cooker? Ahh, another blog I love. thanks so much for checking my blogs out and for your comment!